It's the beginning of Hip Hop month, a month of songs I know very little about. So let's learn some new things together! 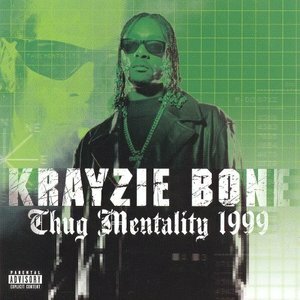 We kick things off with returning guest, Mark Brillon, talking about Krayzie Bone's "Thug Mentality". Mark reviews the history of Bone Thugs 'n Harmony and declares his love for the song. I think he even has a copy of the 8-track recording in his pocket. I struggle to understand the difference between East, West, North, and South-coast rap. Everyone agrees that rap skits aren't really funny but appreciate the artists trying to branch out to improv. NOTE: Audio is a bit distant sounding as I failed to put the right settings on my microphone. As I am smart.